Type III PFD. 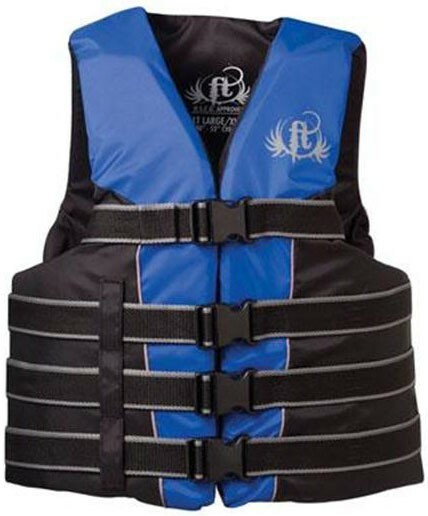 This larger-than-pictured model has 4 safety straps, each adjustable. The body measures 65" before you loosen the straps, which actually allow over 73" of room inside once fully extended. A good value, keeps you safe and legal!